I’m delighted to be able to welcome a fellow Accent Press author to my site today. 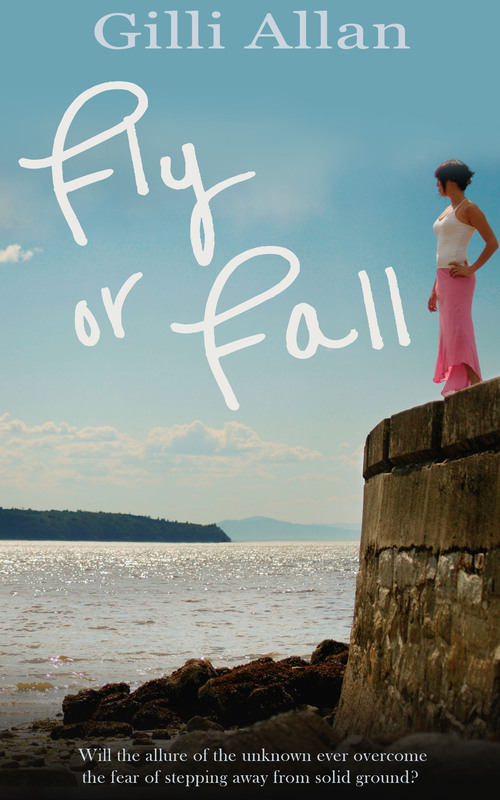 The lovely Gilli Allan is shining the spotlight on the lead character in her latest novel, Fly or Fall! Nell, the heroine of FLY OR FALL, is an honourable woman. And yet, as the story unfolds, her values and principles are gradually undermined. The interview takes her back through her early life, before the story opens, to discover what made her the woman she is, and how and why she arrives at the point where she slips. But you’ll have to read the book to discover what actually happens, and how Nell copes with the fall-out. Interviewer: Looking at your history, Nell, it seems you were a bit of a wild child. You must have started a physical relationship with Trevor Hardcastle when you were still very young. Nell: No! Not wild. ….I was an only child and quite insecure. I already felt isolated and excluded from my parent’s relationship. And when my Dad died my Mum lost her soul mate. She was so overwhelmed by her own grief she failed to recognise mine. Trevor was the son of one of my dad’s TUC friends. He was starting his economics degree in London. It was a mutually beneficial arrangement that he lodge with us. It’s not surprising that both of us – my mother and I – leant on him. Interviewer: How old was he? Nell: He was already in his twenties. Interviewer: You were still underage, Nell! (A pause.) OK, let’s get on. You completed your A levels but never went to university? Nell: No, Trevor was in his first teaching job by then and the twins were babies. Then my mum’s health began to deteriorate. Interviewer: You stayed on in your family home? Nell: Why move? My mother increasingly relied on us being there. Interviewer: Even though the mortgage was paid off by your father’s insurance, you were still pretty hard up. And your husband was out a lot in the evenings. Did you never question why? Nell: He told me he was working late at school, or going to local party political meetings. I trusted him. Interviewer: (Clears throat.) And when the offer to buy your house dropped on your door mat, what did you think then? Nell: The whole episode was surreal. My mum had just died and the house wasn’t even on the market. And the price…! It seemed vastly inflated! I was scared. Interviewer: Most people would be delighted. Nell: I didn’t want my life to change. I had a kind of presentiment that having that kind of money would undermine us. It would lead to disaster. Nell: Hard to explain. And because I couldn’t convince Trevor I gave in. I just let it happen. Interviewer: But you soon made friends in Downland. Nell: I think I was depressed for a while. I was still grieving and felt cast adrift … away from everything I knew. We moved in the autumn and there was more work to do on the house than I’d realised. It felt a bit like we were living in a perpetual building site. And the people we got in to do the first jobs weren’t the most reliable. But by the early spring of the next year I’d met Fliss and Kate … but…. Nell: They weren’t the kind of women I’d normally choose as friends. They were very materialistic, self-centred, and childishly obsessed with who fancied who. But it was Fliss who recommended a more reliable building firm of builders. We laughed about the business card – ‘Bill Lynch. Man for all reasons’. Nell: I didn’t know that. It was only after we’d engaged the firm that the nudges and winks from Fliss and Kate started. So I was relieved that he never made a pass at me. Nell: Of course! I don’t know how to flirt. Interviewer: That’s an odd comment. What do you mean? Nell: Some women take that sort of thing so lightly. To them it’s inconsequential. Nell: Perhaps I take things too seriously. I … I believe what I’m told. Interviewer: So why did you take the job as a barmaid at the sports club? Seems an odd choice of job for a serious minded woman, who doesn’t know how to flirt? Nell: Trevor was so down on the idea, as if I’d personally offended him…. Interviewer: You took the job because your husband was against it? Nell: I know it sounds ridiculous, but… yes, kind of. Trevor seemed to be changing before my eyes. His opinions were becoming ever more right-wing and stuffy. He even changed the twins’ school, badgering me into agreeing to send them to the fee-paying high school, something he’d always disapproved of and argued against. His attitude about ‘his wife doing a bar job’ provoked me. Interviewer: And there you met the man you knew as Angel. Nell: You have to realise that none of this was apparent to me at the time. I only saw it in retrospect. It was after Patrick and I had become friends…. Interviewer: Patrick? I thought you were suspicious of him. Keeping him at arm’s length. Nell: Friends I said, nothing more. But it was only when Angel noticed Patrick treating me with a kind of … um … casual affection, his attitude to me changed. He began to pursue me. Nell: I’d been infected by the whole atmosphere there … and by Kate and Fliss. Their attitude to infidelity was so casual – as if love affairs were every woman’s right – an added seasoning to give spice to their lives. And Angel was so gorgeous. I had such a crush on him…..
Interviewer: Not every one of your women friends had this ‘all’s fair in love and war’ attitude? Nell: No. Not Elizabeth. She was very much in love with her husband – ‘OH’ as she called him. Because I felt closest to Elizabeth, I’d planned to confide in her. I felt so triumphant, so pleased with myself, until…. Nell: (A pause. She swallows.) It … it was a total and profound shock, but…. I was still trying to hang on to my life, to the world as I knew it. Fat chance! Like a domino derby, the shocks kept going, one falling after another. Everyone around me – my friends, my husband, even the twins – had been pretending. They’d all constructed facades. They’d all been keeping their own secrets. Interviewer: And so had you. Nell: Believe me, I don’t absolve myself. I can hardly believe I did what I did. I was as guilty as the rest of them. Worst of all I’d been deceiving myself… And it wasn’t the best time to suddenly realise I’d fallen in love. Wife and mother, Nell, fears change, but it is forced upon her by her manipulative husband, Trevor. Finding herself in a new world of flirtation and casual infidelity, her principles are undermined and she’s tempted. Should she emulate the behaviour of her new friends or stick with the safe and familiar? But everything Nell has accepted at face value has a dark side. Everyone – even her nearest and dearest – has been lying. She’s even deceived herself. The presentiment of disaster, first felt as a tremor at the start of the story, rumbles into a full blown earthquake. When the dust settles, nothing is as it previously seemed. And when an unlikely love blossoms from the wreckage of her life, she believes it is doomed. The future, for the woman who feared change, is irrevocably altered. But has she been broken, or has she transformed herself? 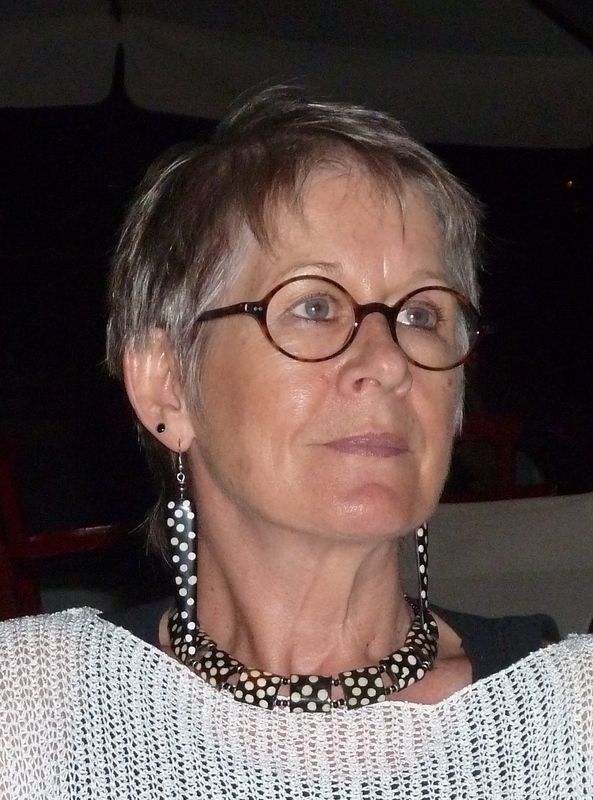 Many thanks Gilli (and Nell)- wonderful blog! Really enjoyed this interview! Now to get the book … Thanks both.